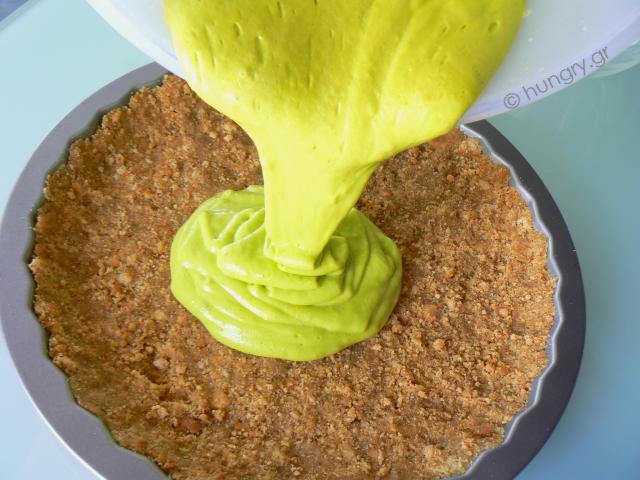 American home lime pie, baked on a graham cracker crust and piled high with α light and creamy filling. 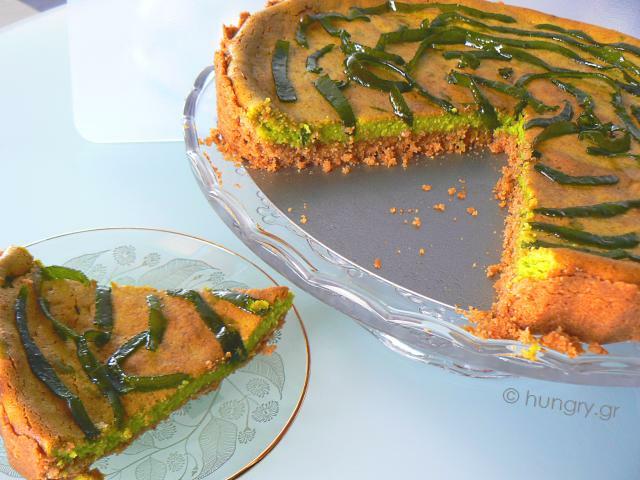 You will love the unique flavor of limes with their slightly bitter flavor, even if you don't prefer the tart pastry. 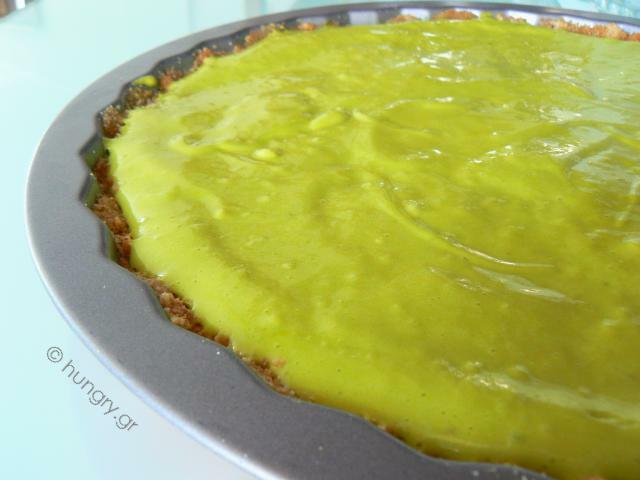 The name of "key lime pie" , comes from Florida Keys, a cluster of islands in Florida. 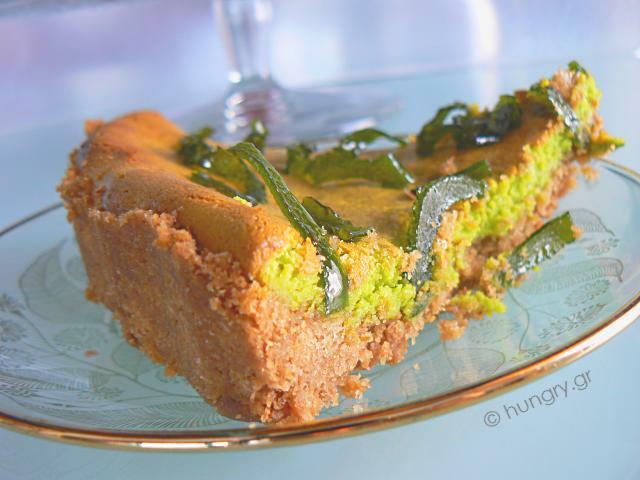 It is an American dessert based on lime juice (a type of lemons with a round shape and smooth yellow skin when ripe, with more acidity and stronger flavor than the common lemon) the egg yolks and sweetened condensed milk in a graham cracker shell. In the traditional version of this lime pie we use meringue from beaten egg whites for the coating of the pie. 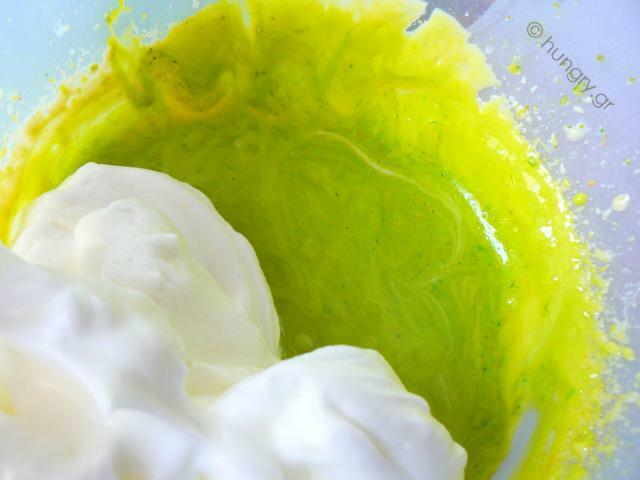 Many cooks use food coloring to give the filling a green color. This practice is of course disapproved by those who stick to the traditional version. 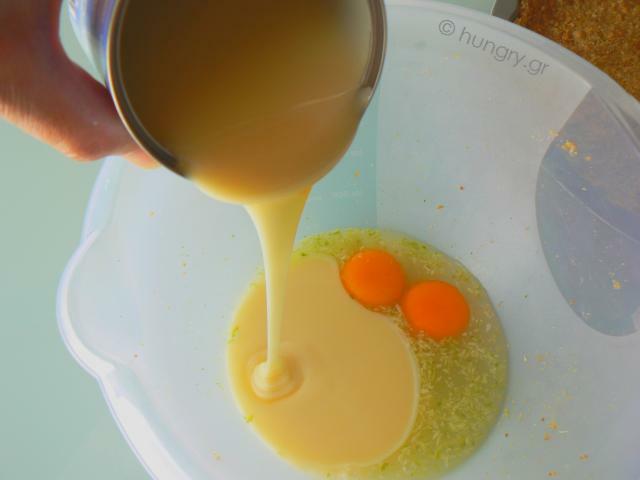 During the mixing of materials there is a chemical reaction (called souring) between the acidic lemon juice and sweetened milk. This causes the coagulation of the filling without cooking. The acid in the juice actually "cooks" the filling of the pie, but our time calls for cooked foods containing eggs. Eating the eggs raw is not acceptable now days. This recipe was first recorded in 1930. 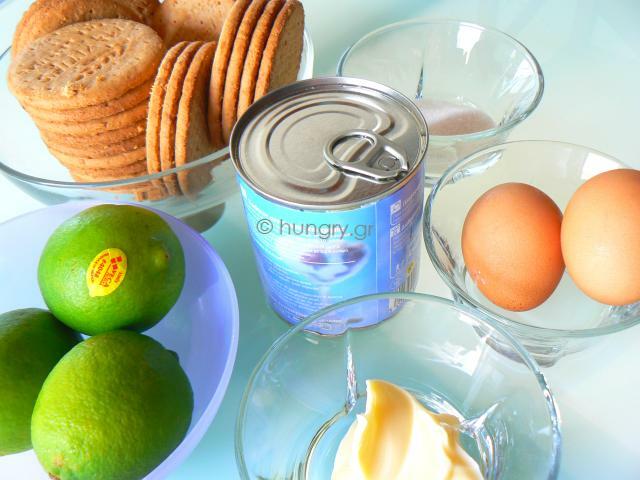 To create the key lime pie canned sweetened condensed milk is used, as raw milk was not a common commodity in Florida Keys, before modern methods of refrigeration and distribution / availability of fresh milk. Cooks, had to rely on condensed canned milk. The key lime pie is the symbol and the official dessert of the state of Florida. 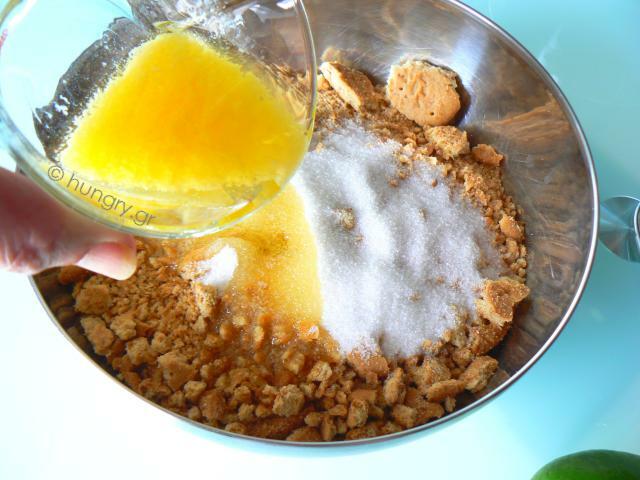 Crumble cookies into crumbs. One way to do this without losing their constitution is to put some of them in a food bag and rub rolling a bottle over. You don't have to turn them to powder. 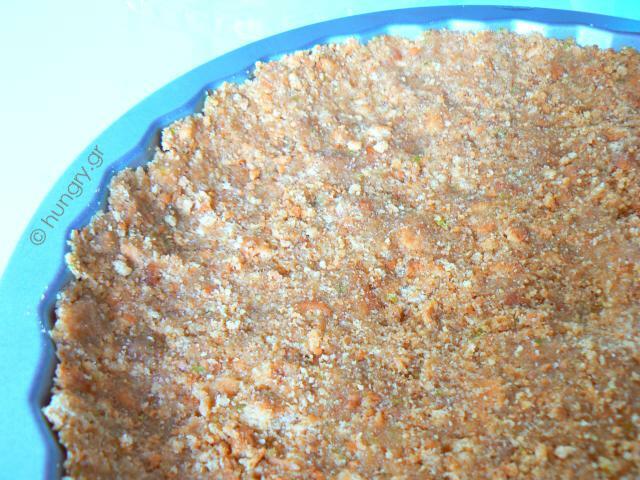 Besides, the digestives are easily crushed and they will break some more during the mixing of the ingredients. 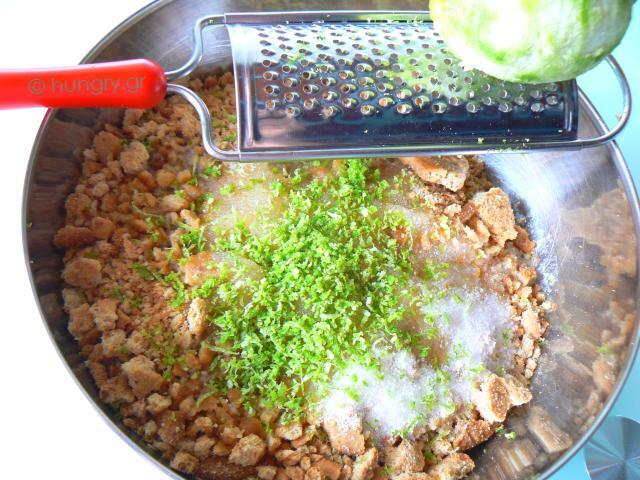 …and the zest of ½ lime. Stir well to mix. Spread the mix at the bottom and the sides of a spring form. Leave it aside for later. 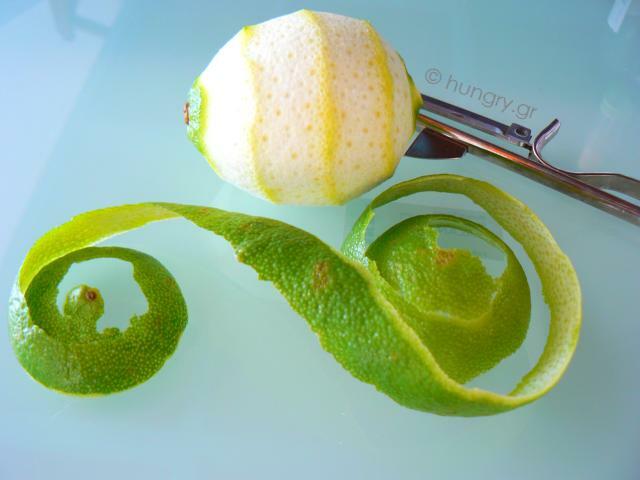 Wash and peel 2 limes. Cut the strips along their length into narrower strips. 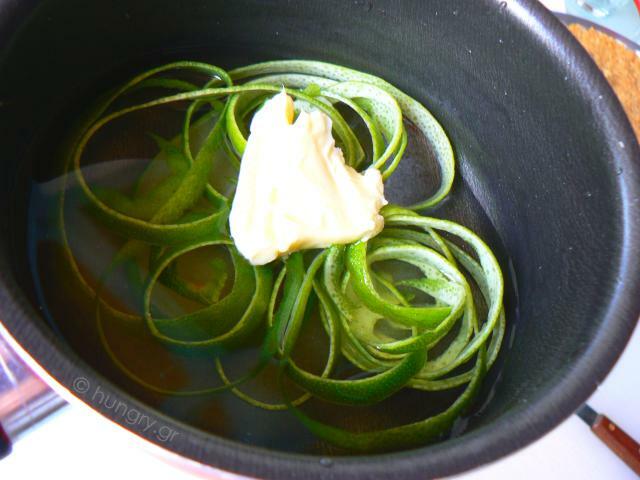 Put the strips in a pan with boiling water, with one tablespoon sugar and one tablespoon butter. Boil until soft about 20 minutes. With these we will decorate the tart. In clean dry bowl beat the egg whites to a stiff meringue. At this stage, add 1-2 drops of food coloring if you want the filling to be green or just leave it as is. 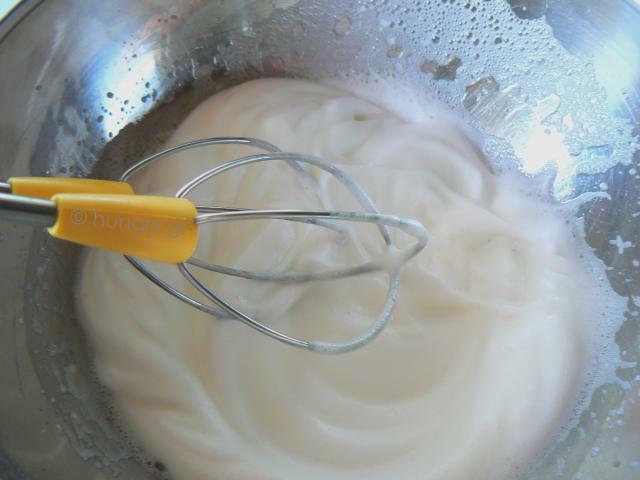 Add the whipped meringue and stir the mixture thoroughly from top to bottom and round. Pour the filling onto the lined cookie base. 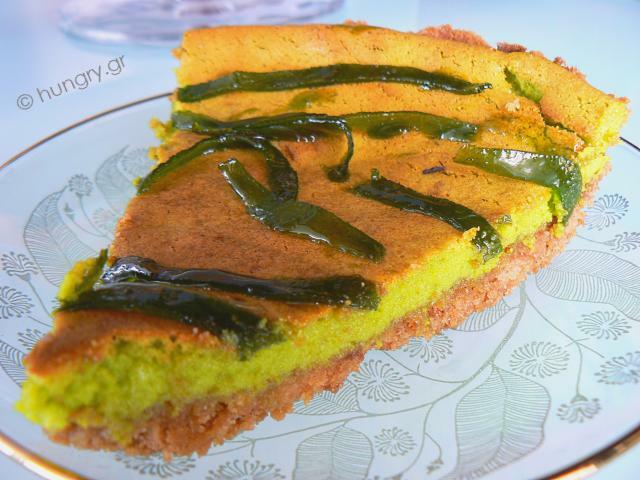 Place the lime pie in a preheated oven at 180°C/ 350°F/ 4 Gas Mark, for 20 minutes or until cooked. Decorate with the candied peel of lime. We can, if we beat some sour cream with a tablespoon of icing sugar and decorate with rosettes on the surface of the lime pie. 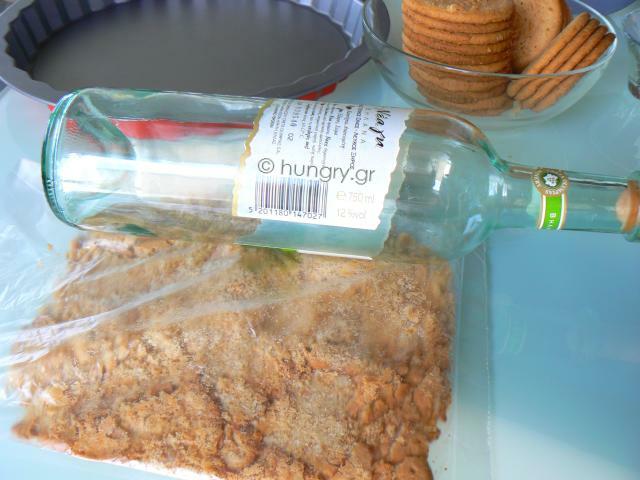 Sprinkle with a few cookie crumbs. If we have no limes, we can use lemons with equally delicious results.